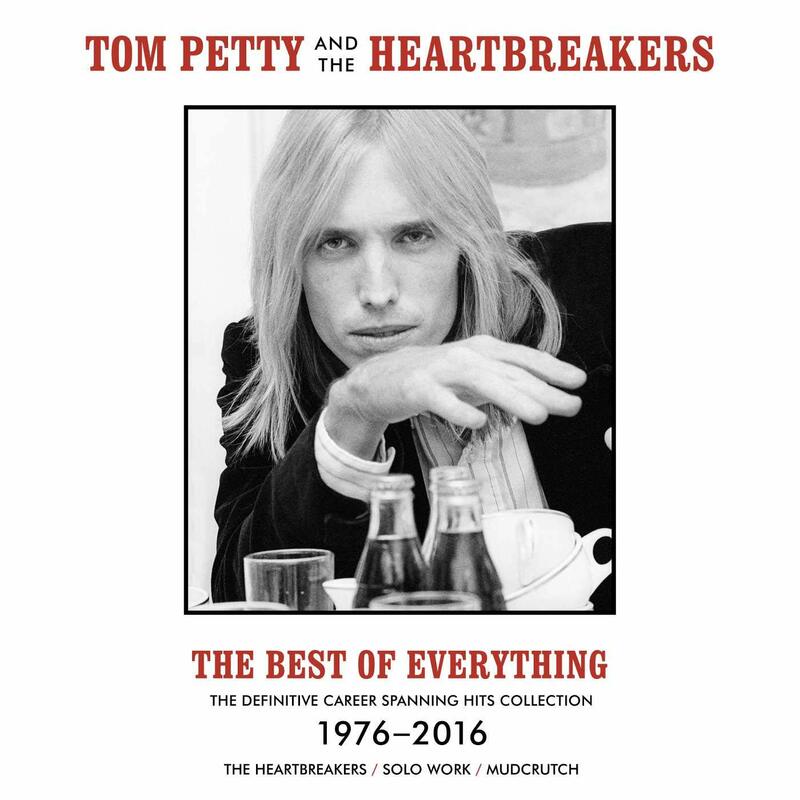 With the American Treasure box now out (at least on CD) news reaches SDE of another Tom Petty collection that’s due next month. As the title suggests, The Best of Everything: The Definitive Career Spanning Hits Collection 1976-2016 is more focussed on ‘hits’ than rarities, although inevitably the record label has added a couple of unreleased tracks. The Best Of Everything is a two-CD or 4LP package. It spans 40 years, includes 37 tracks (non-chronologically) and covers Tom Petty as a solo artist, with The Heartbreakers and also includes a couple of tracks from 2016’s Mudcrutch 2. The two unreleased offerings are an alternate version of ‘The Best Of Everything’ (which you can preview above) and the last song on the compilation ‘For Real’.